BEIJING, March 14 (Xinhuanet) - It is a miracle that China has lifted 700 million people out of poverty within a period of 40 years, Ghanaian ambassador to China Edward Boateng said in a recent exclusive interview with Xinhuanet. China has done a remarkable job and Ghana wants to learn from China, the ambassador noted, adding that poverty alleviation is a big deal for Ghana. The ambassador spoke highly of China's targeted poverty alleviation, saying it's a very laudable concept. In most countries, he said, poverty alleviation is really an aid-based approach. However, China's targeted poverty alleviation is a scientific approach because the government identifies the poor families and their needs and works with them to lift them out of poverty within a generation, said the ambassador. The ambassador said the Belt and Road Initiative (BRI) is successful because it is an opportunity to bring the world together and to develop infrastructure, cultural exchanges and people-to-people exchanges. One excellent example is that an increasing number of people in Ghana are willing to visit, learn and understand China, while they would take holidays in Europe or North America few years ago, the ambassador noted. In terms of people-to-people exchanges, he hoped Ghana to become the window for Chinese people to learn about Africa. He believed this spirit of the BRI is very positive and is "a two-way process", because it not only brings China to the rest of the world, but also brings the rest of the world to China. "We're looking at how the world can be more connected. And I think that's the key thing the Belt and Road can achieve." This year, Ghana expects to work with Chinese companies and the Chinese educational institutions to bring a lot of Ghanaian students to China and also Chinese people to Ghana, he said. The 2018 Beijing Summit of the Forum on China-Africa Cooperation (FOCAC) is very successful, said the ambassador. He expected that the eight FOCAC initiatives proposed during the FOCAC last September are implemented in a way that will benefit the people and make the world a better place. Ghana was one of the first African countries to establish diplomatic relations with China. 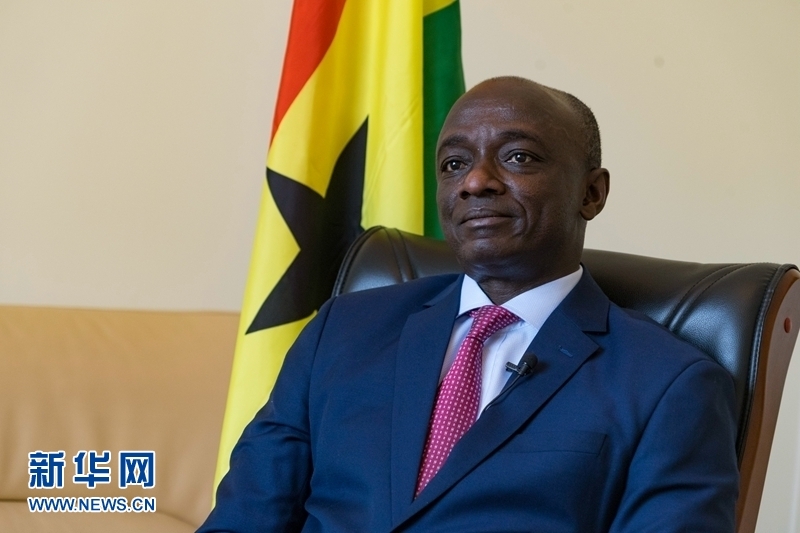 Next year China and Ghana will mark the 60th anniversary of establishing diplomatic ties and there will be a very big celebration in Ghana, said the ambassador.